The Save Trestles campaign focused on stopping a 6-lane toll road that would have cut through San Onofre State Beach, the Donna O'Neil Land Conservancy, sacred Native American sites and endanger San Mateo Creek Watershed. 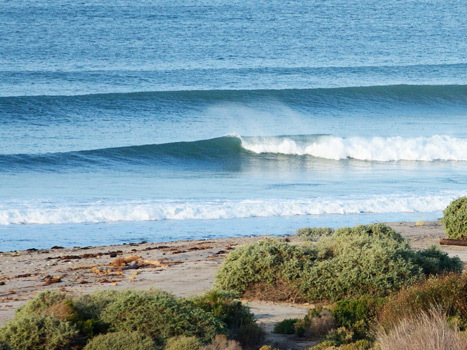 After a decade Surfrider and our partners prevailed in permanently protecting Trestles and San Onofre. After more than a decade, five lawsuits, and countless public hearings, toll road developers concluded that they could not build their road as planned, so they reached out to the Save San Onofre Coalition (SSOC) to engage in challenging and productive negotiations to settle the lawsuits. This agreement settles five lawsuits brought by the SSOC and the California Attorney General and requires the toll road developers to rescind its 2006 approval of the so-called “Green Alignment” that would have run through San Onofre State Beach (SOSB) and its 2013 approval of its Tesoro Extension project, the first segment of the Foothill South. The most significant and most hard-fought aspect of the settlement carves out “avoidance areas” that requires toll road developers to refrain from building or funding a road project within an area that includes San Onofre State Beach, the Richard and Donna O’Neill Conservancy and other critical open space, wildlife habitat and cultural resources in the San Mateo Creek watershed. In addition to the avoidance areas, the settlement establishes a $28 million conservation fund to help preserve and restore San Mateo Creek and its watershed. Learn more.